What does the new editor of the Addams Papers get for Christmas? Addams trading cards, of course, thanks to my sister! And that sent us down the rabbit hole of the Web, investigating other Addams memorabilia. While nowhere as common as collectibles on the Founding Fathers, movie stars or athletes, these quirky mementos are evidence of efforts to popularize history, commemorate famous Americans, and separate history buffs from their hard earned cash. Enjoy the variety of Addams memorabilia below, and please let us know if you have or know of any other collectibles focused on Addams in the comments below. If you thought that baseball cards were just for, well, baseball, then you haven’t delved deep enough into the word of collectible cards. In 2009 Topps issued a 150-card collection in its Heritage series, called the American Heroes Edition. 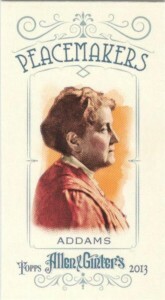 Topps identified people who were “the most courageous, valiant, progressive and enlightened American women and men in our nation’s history,” and created a series of cards with designs drawn from the company’s historic baseball card designs. 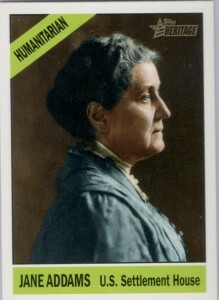 The Jane Addams card (#78 in the series) is one of the Humanitarian series, which also includes well-known figures like Florence Kelley, Helen Keller, Eleanor Roosevelt, Herbert Hoover, Clara Barton and Jimmy Carter. Other series include Heroes of Spaceflight, Authors and Journalists, Diplomatic Heroes and Civil Rights Heroes. It uses a photograph of Addams from 1914, colorized, and designed in the style of a Topps 1966 baseball card. Addams also appears in a smaller set of seven “Peacemakers” mini-cards issued in 2013 by Allen & Ginter, a Topps subsidiary. The others appearing are Mother Teresa, Nelson Mandela, Abraham Lincoln, Mohandas Gandhi, the Dalai Lama, and Jimmy Carter. The Peacemaker card uses an older vintage look, with the same photo, just colorized differently. Historically significant women are not often made into commercial dolls, but there is a market for specialty dolls featuring historical figures. 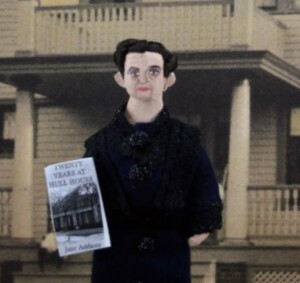 The Jane Addams-Hull-House Museum offers a nattily dressed Addams (currently out-of-stock) that we hope will grace our shelves one day! She carries a copy of Twenty Years at Hull-House and wears her Nobel Prize as a necklace. Searching etsy.com brings up UneekDollDesigns‘ page which offers a series of historical and cultural icons made into handcrafted dolls. 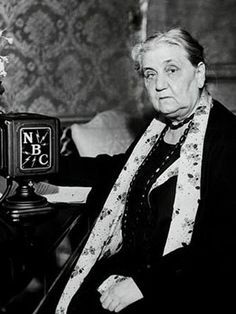 Jane Addams’s doll is posed holding a replica Twenty Years at Hull-House. Photographed with a historical photograph in the background, this Jane seems a bit dour. Others in this series include actress Bette Davis, the Marx Brothers, and Sojourner Truth. 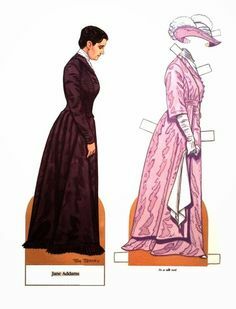 In 1979 Dover published the Notable American Women Paper Dolls book, by Tom Tierney, with 16 “accurately rendered” historical women, with a change of clothes. Addams appears along with Margaret Sanger, Emily Dickinson, Clare Booth Luce, Eleanor Roosevelt and Amelia Earhart. This book features short biographies of each woman and outfits that are based on historical photographs of the women. In 1940 the United States Postal Service issues a series on Famous Americans that was comprised of 35 stamps, issued in groups: Artists, Authors, Composers, Educators, Inventors, Poets, and Scientists. Jane Addams was included in the Scientist category, along with John James Audubon, Dr. Crawford W. Long, Luther Burbank and Dr. Walter Reed. A mint condition 10-cent Addams stamp goes for about $3.50 today. 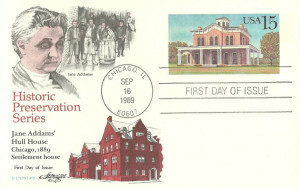 The Post Office also commemorated the 100th anniversary of Hull-House in 1979, with a printed post-card. 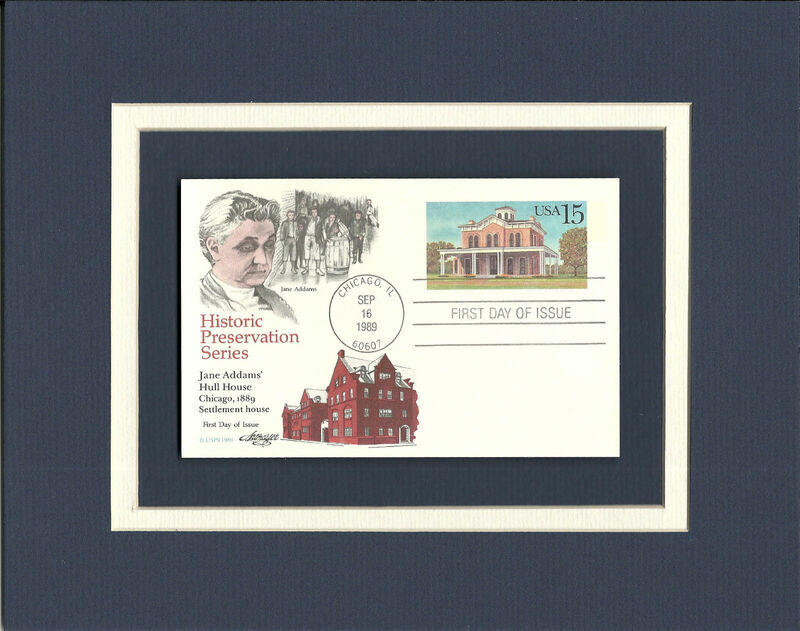 The example on the right, a first-day issue, is postmarked from Chicago and has a drawing of Addams, her neighbors, and Hull-House. 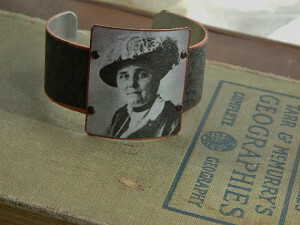 Jewelry-maker Sarah Wood crafts necklaces, earrings, and bracelets, using historic photographs under the slogan “History is Handmade.” She has a gallery on Women’s History and Feminism that includes Jane Addams pieces like the one shown to the left. The designs are also available with images from a wide array of historical women, many lesser known, as well as a series of suffrage images. Famous women on sugar packets? Sure, why not! Red & White Sugar released a set of sugar packets with the likenesses of Eleanor Roosevelt, Amelia Earhart, Pocahontas, Helen Keller, Margaret Sanger, Carrie Nation, Louisa May Alcott, Jane Addams, Annie Oakley, & Juliette Gordon Low. These emptied packets go for a mere $17 on eBay. 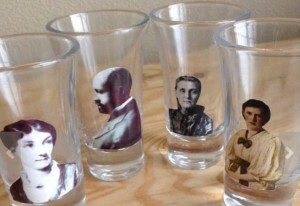 Those who are over 21 can drink a toast to Jane Addams and others founders of sociology using a set of shot glasses featuring Jane Addams, Harriet Martineau, W. E. B. DuBois, and Marianne Weber offered by CalacaCreations, available along with a series of other printed items on etsy.com. Finally, there are the puns! 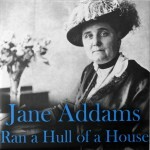 You can get the slogan “Jane Addams Ran a Hull of a House” on nearly everything, from pacifiers and infant onesies, to iPhone cases, t-shirts, and coffee mugs. These are offered through zazzy.com. For a look at how Jane Addams and the Hull-House residents celebrated the Christmas season, we have reproduced Amalie Hannig’s 1911 article “Christmas at Hull-House,” which was published in the Ladies Home Journal. Hannig was the co-founder and director at Hull-House’s Music School, which was opened in 1893. The activities at Hull-House cover a wide field at any time of the year. About nine thousand people come to us each week during the winter months. But when Christmas approaches Hull-House appears like a huge ant-hill where all the inhabitants are turning their efforts with great intensity into one channel–into making this particular Christmas better than any of its predecessors. To begin with the small people: A Christmas play, performed by children for all the club children, is given in our theater and the same performance is presented three times before different audiences of at least two hundred and fifty wide-eyed and breathless children each time, and when the performance is again twice repeated for their parents there is no loss of interest. It is difficult to find a suitable children’s play that brings in good old Santa Claus and a Christmas tree. But usually this is done by using a fairy tale that is elastic enough to admit a Christmas touch at the end. 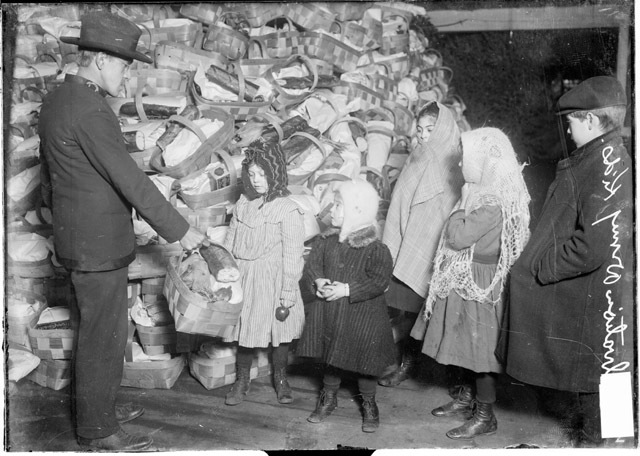 This photo shows a similar distribution of Christmas baskets to the poor–in the above image it is the Chicago Salvation Army’s 1906 Christmas distribution. (Chicago History Museum via Chicago Collections). If anybody happens to see our large drawing-room on the day before Christmas he will be inclined to believe that he has accidentally dropped into a grocery store. His nostrils, too, will be greeted by all the characteristic odors. Rows of market-baskets fill the middle of the large space. In one corner of the rooms stand barrels filled with chickens, sacks of potatoes and onions, boxes of various groceries–as coffee, tea, sugar–boxes of apples, oranges and candy; another corner is stacked with small Christmas trees; and all these things send forth and mingle with their particular odors. On large tables and on all available chairs packages containing warm, comfortable wearing apparel, dress goods or shoes and an endless variety of toys are awaiting distribution. Soon many hands begin to sort and label, and by noon three hundred baskets are filled, varying according to the sizes of the families to whom they are addressed. By the evening all baskets have disappeared; the little Christmas trees alone are still waiting. But at about nine o’clock a most delightful and mysterious activity begins. Each little tree, accompanied by candles, tinsel and all sorts of fascinating decorations, is brought forth and carried to some household in our neighborhood where an expectant, smiling mother is ready and waiting. The children are safely asleep; the small, and for the most part very poor, dwelling is clean and shiny and shows itself at its best; a table is ready to receive the tree and the presents. 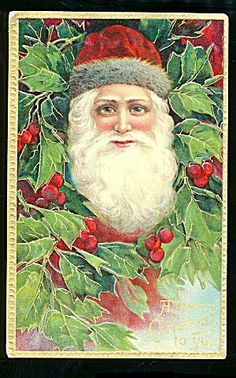 Quickly the tree is trimmed and the candles are put on the safe branches, and, after a friendly exchange of Christmas greetings, “Santa Claus” retires, leaving the rest to Mother. Back he goes to Hull-House to fetch another tree and place it in another home. Sometimes it happens that the last “Santa Claus” returns from his errand at about one or two o’clock in the morning. Twenty-eight trees were sent out last Christmas. Some of us remember how on one Christmas Eve a tree and some presents were taken to an Irish mother who supported her six children and three of her dead sister’s children by scrubbing day and night. Even on this evening she was not expected back in her three-roomed home until half-past twelve. When “Santa Claus” appeared at this late hour, loaded down with gifts for ten, he found six children sleeping peacefully in one bed–three at the foot and three at the top–in one room, and three others were in another room. Nine stockings were hanging up; and who would be surprised to learn that some of them showed holes so big that an orange was dropped in first so that other articles might not fall through? “Santa Claus” had to move on tiptoe, hardly daring to breathe, while he made his arrangements in the same room with the sleeping children. Out Italian friends gladly receive the American “Santa Claus.” Their homes are made to look festive and bright. The freshly scoured floor, still damp, is covered with newspapers, a little altar adorns the wall, the lamp of devotion is lighted, and when the little tree, gaily trimmed, stands on the floor before the altar the Virgin and Child seem to crown it with their blessed presence. One feast at Hull-House fills hosts and guests alike with deep satisfaction. The Friendly Club, consisting of whole families of our people, come to a Christmas dinner, a real turkey dinner where everything is “grand” and “delicious.” Here are parents and their children dining with a joy that might make the chief cook of a King envious. Such a precious fowl as a turkey is an event to all of the diners. Last year about two hundred and sixty guests were placed in our spacious coffee-house, and when thirty-five late comers found all seats occupied the children politely gave up their legitimate places to the older people and stood between the chairs. An effort is made, however, to observe Christmas in such a way that is shall not consist solely of presents and dinners and parties, but that the spiritual side shall also be accentuated. Handel’s “Messi ah,” rendered every year through the courtesy of a chorus from Evanston, has been a source of great pleasure to our neighbors, to those of the Christian faith and to many of our Jewish friends. Perhaps the most spontaneous celebration of the birth of Jesus finds expression in our own Christmas concert, which has been given for eighteen years on the Sunday before Christmas. On this page is printed a recent program. 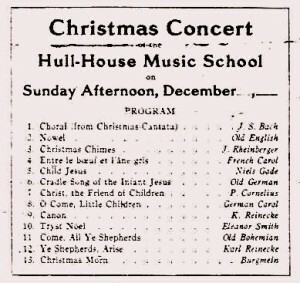 This concert consists of folk songs, carols and canons through which the people of many lands have for generations striven to express their joy and devotion, and is rendered by young people of the many nationalities represented in the Hull-House neighborhood. Possibly it is the spirit of Christmas, possibly it is the influence of music which holds together the souls of these people, but certain it is that, although most of the songs are of a religious character, Russian and Polish Jewish children participate with the consent of their parents. 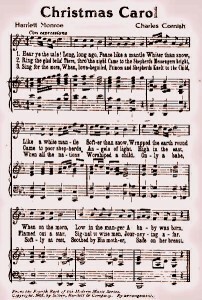 This Christmas Carol was composed by one of the older pupils in the Music School, and, given for the first time at one of these concerts, was sung by a group of his younger brothers and sisters. After the concert the children, with their families, take supper together in a spacious room lighted only by the tapers of a large Christmas tree. This “Music-School Tree” is always the same and unlike any of the others which flourish at Hull-House. It is a large fir tree which reaches from floor to ceiling and is fastened to a secure stand. To the top is tied a star made of silver tinsel wound around a frame of strong wire. Many “icicles” of glass are attached to conspicuous branches, and a large number of candle-holders are made of unpainted tin. Then we carefully spread soft fluffy asbestos or a new German non-combustible cotton over all the thicker and finer branches to make them look as if they were snow-covered. Twelve packages of plain silver-tinsel thread are also put on, starting at the top so that the tinsel covers the tree like a silver veil. The threads are laid on the branches almost singly and must not be in the least tangled. White candles are placed in the holders and holly is laid on the floor around the tree. After the candles have been lighted–beginning at the top–all lights in the room are turned out. There it stands in wonderful, mysterious, silent beauty, like the Spirit of Christmas, glittering softly in green, white and silver. This perhaps is the climax of our Christmas celebration, although the holiday week is full of all sorts of jollifications, ending with the “Old Settlers” party on New Year’s Day. Click here for a transcription of the entire article and the original image, mounted by the wonderful Urban Experience in Chicago site. Harper’s Bazaar Nov. 1894 cover. Looking for a timely post on Thanksgiving, we came across a newspaper article that detailed a Thanksgiving banquet held at Chicago’s Union League Club on November 22, 1894, a week before the actual holiday on November 29. Jane Addams was one of the featured speakers at the event, which was given by the Life Underwriters’ Association of Chicago. I sometimes think our patriotism is a little like our compunction of conscience–it is apt to run backward. After a thing has been done, and well done, we like to think about it; we like to think about how patriotic we have been, and how very well we did it altogether and how much we like the stars and stripes. Now I suppose in our thanksgiving and especially looking toward our thanksgiving of the future, it may be well if we bring to bear some of this patriotic feeling of emotion upon the present problems. I remember the last Fourth of July, which, as you know occurred in the midst of a strike, we were trying to arrange for a celebration when a workingman said: ‘Why should we celebrate when the whole country is so upset?’ I said to him: ‘It seems, on this Fourth, more fitting than ever to rally together–all of us–and bring to bear all our patriotism and unity of feeling upon the present condition, and see what we can do about it. In other words, there was just as much need for common action then as there was among the Pilgrims fighting the Indians. We are no longer struggling to keep our conscience from outside interference, but we forget the equal demand that comes from the multiplied conditions of our modern life, especially the great poverty all about us. Hence I say that all of Chicago, all the business men and women so full of good will, if they would face together some of our problems, perhaps then we could have a rousing Thanksgiving dinner together afterward. I have very little advice to offer as to how this should be done. I have very little belief in the ready-made scheme of reform, but I do long every day that the good will which you know does exist in Chicago, that the good sense which you see exhibited all about you, should be brought to bear on these very pressing problems; that they should be held as a part of the patriotic citizenship; that they should be considered just as much of a duty as it was a duty years ago to fight Indians and go out with the musket to fight against the mother country. Surely it is Christian altruism to say that we should be uncomfortable to have another Thanksgiving dinner unless some of the crooked place are made straighter than they are now. There are various schemes in my mind which I would like to suggest. I do not feel myself, as the old minister did, that nine-tenths will be damned. Many are doing very well, but they do need help, just as our early politics needed help. The heart of the nation needs to be brought to this modern problem in the same spirit of patriotic endeavor as it was brought to the early problem and we have no right to say all is well until we have made this effort. We are at least bound to give our minds to it, to give our endeavor to it, steadily and systematically as becomes patriotic men and women. “Call Back Old Times,” Inter-Ocean, Nov. 23, 1894, p. 4. A few weeks ago on Last Week Tonight,” John Oliver lampooned the growing use of “historical” quotes as a means of legitimizing current political opinion. While this is by no means a new problem, it has gone viral through the use of memes, such that, as Oliver said, “If you have the right font and the right photo, any quote can seem real.” Oliver proceeded to put up a website (http://www.definitelyrealquotes.com/) with a set of historical photos randomly combined with dubious quotes. 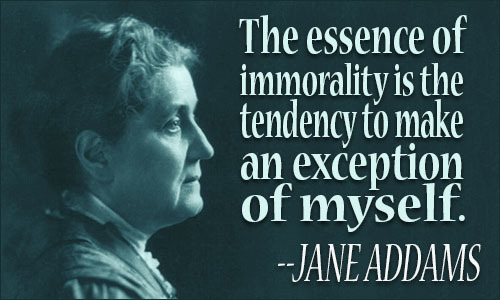 While Jane Addams doesn’t appear on his site (Marie Curie and Amelia Earhart do), you can find many lists of Jane Addams’ quotes and illustrations, most noble-sounding and completely unattributed. How many of them are accurate? 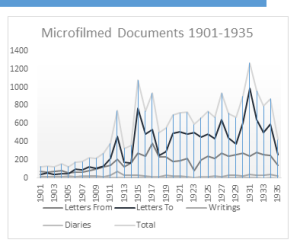 It can be difficult to be certain that someone did not say something, and until we are able to transcribe the entire corpus of Addams’ work, we can only offer initial results–but there are enough problems that you should be wary. 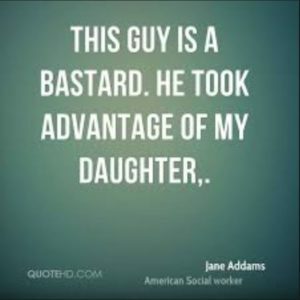 Searching for this text in Google Books, in quotes, results in a hit from James Weber Linn’s 1935 biography of Addams, Jane Addams (p. 104). He claims that it comes from an 1892 paper given at a Plymouth, Mass. summer institute on ethical culture, but provides no citation. Linn uses the quote two times in the biography, the first rendered: “The good we secure for ourselves is precarious and uncertain . . . until it is secured for all of us and incorporated into our common life.” A few pages later Linn uses the quote again, this time without the ellipses. The good we secure for ourselves is precarious and uncertain, is floating in mid-air, until it is secured for all of us and incorporated into our common life. Addams refers to Father James Otis Sargent Huntington (1854-1935), founder of the Order of the Holy Cross, a monastery near West Point in New York. So while Jane Addams “wrote” it, she credited the sentiment to another. Her own addition isn’t half bad though! “As congress at Honolulu proceeded we felt that Oriental women had unique opportunities to stand free from the tyranny of mechanization and to act upon the assumption that civilization is a method of living, an attitude of equal respect for all men. This is a good example of a specific sentence being turned to serve a far broader purpose. Citations help us to determine whether or not the quote is being used properly when it is pulled from its context. Several lists of quotes (WisdomQuotes and AboutEducation for example) credit Jane Addams as the author of this William Shakespeare line from Measure for Measure. 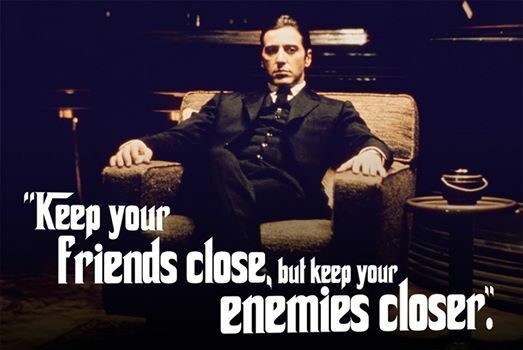 This one has been attributed to Sun Tzu, Machiavelli, and Michael Corrleone from the Godfather. And, per Goodreads, to Jane Addams as well. Many of the quotes out there are accurate, though few have citations. Below are some that have been verified. This quote comes from Democracy and Social Ethics (1907), p. 273. Jane Addams wrote this in Newer Ideals of Peace (1906) p. 216. Jane Addams wrote this in Peace and Bread in Time of War (1912), p. 133. Jane Addams wrote this in Newer Ideas of Peace (1906), p. 186. Jane Addams wrote this in Twenty Years at Hull-House (1910), p. 66. I am sure that anything we can do to widen the circle of enlightenment and self-development is quite as rewarding to those who do it as to those for whom it is done. Jane Addams wrote this in “Widening the Circle of Enlightenment: Hull House and Adult Education” (Journal of Adult Education 2, no. 3 [June, 1930]: p. 279. Private beneficence is totally inadequate to deal with the vast numbers of the city’s disinherited. Jane Addams wrote this in Twenty Years at Hull-House (1910), p. 310. If the meanest man in the republic is deprived of his rights,then every man in the republic is deprived of his rights. Jane Addams wrote this in an address to the Union League Club of Chicago; it was published in Union League Club of Chicago, Exercises in Commemoration of the Birthday of George Washington (1903), p. 9. Jane Addams wrote this in Newer Ideals of Peace (1922), pp. 16-17. We have learned to say that the good must be extended to all of society before it can be held secure by any one person or class; but we have not yet learned to add to that statement, that unless all men and all classes contribute to a good, we cannot even be sure that it is worth having. Jane Addams wrote this in Democracy and Social Ethics (1907), p. 220. Really?! Google it–this one appears on more than one quotes site. As most historians and students working on history papers know, you should not quote people without citing the source of your quote. And that does not mean the website where you saw the meme or the “Jane Addams Quotes” page you found on an anonymous website (see right). Try to locate the quote in its original context. That means finding it in one of Jane Addams’ own writings, not on a website or secondary source. A good tactic for locating a good source is to search one of the book sites that have full text for public domain books (Google Books, Internet Archive, Hathi Trust, to name a few). Most of Jane Addams’ books are in public domain, which makes things easier. Using the original texts will not only ensure that the quote is correct, but seeing it in its context will give you a better sense of what Addams meant. You may find that your search turns up a huge number of hits. Just like on the web, book authors cite quotes from Jane Addams and other famous people, and many of them do not cite the source of their quote either! To get to Addams’ own works, you can limit the date of publication to between 1870 and 1940. You might be tempted to use searches that narrow the author as well, but you may miss documents from compilations with an editor or author. Dig deeply, and if you have too much trouble verifying the quote, don’t use it! The Spirit of (White) Youth in the City? On Wednesday evening, the director of the Schomburg Center for Research in Black Culture, Khalil Gibran Muhammad, spoke to a group of students and faculty here at Ramapo College about the history behind the use of criminal justice as a system of racial control. One part of the talk looked at the ideas about race and delinquency that came out of the turn-of-the-century Progressive movement, which used statistics about rates of imprisonment to characterize black youth as particularly violent and unlawful. (These kinds of statistics are still being cited uncritically.) The assumption was that the criminal justice system was even-handed when making arrests and thus the disparity between the percentage of blacks in prisons and the percentage in the general population reflected an unbiased truth about African-Americans. This led to calls for blacks, even from black intellectuals like W. E. B. DuBois, to regulate their own behavior and take responsibility for their actions. Black criminality and delinquency were perceived as moral failings, blamed either on the criminal or his or her parents. 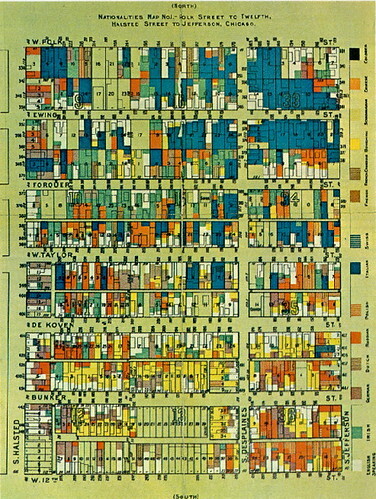 An 1895 summary of nationalities in the Hull-House neighborhood of Chicago. Muhammad tellingly contrasted this view with the way that many of the same Progressives, Jane Addams included, looked at white crime. Settlements were established in areas with high poverty and crime, but in the early years of the movement, most settlements were founded in urban immigrant neighborhoods. Hull-House workers did help found two African-American settlements in Chicago–the Frederick Douglas Center (1904), an integrated settlement located in an African-American neighborhood in the Second Ward, and the Wendell Phillips Settlement (1908), a segregated house also located in an African-American neighborhood in the west side of Chicago. Delinquent youth, Addams argued, “are overborne by their own undirected and misguided energies.” Young minds were often too immature to avoid “an accidental combination of circumstances” that might entice a youth to crime. Addams argued that the environment of the city, “its thronged streets, its glittering shops, its gaudy advertisements of shows and amusements,” lead young men to seek “adventures,” which often turn into criminal charges. Addams claims that other crimes could also be seen as “illustrating the spirit of adventure, for although stealing is involved in all of them, the deeds were doubtless inspired much more by the adventurous impulse than by a desire for the loot itself” (pp. 54-56). This is not the way black crime was discussed. organizing a child’s activities with some reference to the life he will later lead and of giving him a clue as to what to select and what to eliminate when he comes in contact with contemporary social and industrial conditions” (p. 109-110). Addams and other Progressives saw that when groups of people had trouble adjusting to society, it might be that society had to change or adapt. We are undergoing another period in which we need to address the social problems of inequality and the lack of opportunity, especially with regard to race and the criminal justice system. The first step is understanding how we got here. Carolyn Eastwood, Near West Side Stories: Struggles for Community in Chicago’s Maxwell Street Neighborhood (2002), 139-40. 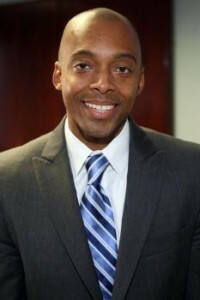 Khalil Muhammad’s “Playing the Violence Card,” New York Times, April 5, 2012. Wanda A. Hendricks, Gender, Race, and Politics in the Midwest: Black Club Women in Illinois (1998), pp. 56-59. 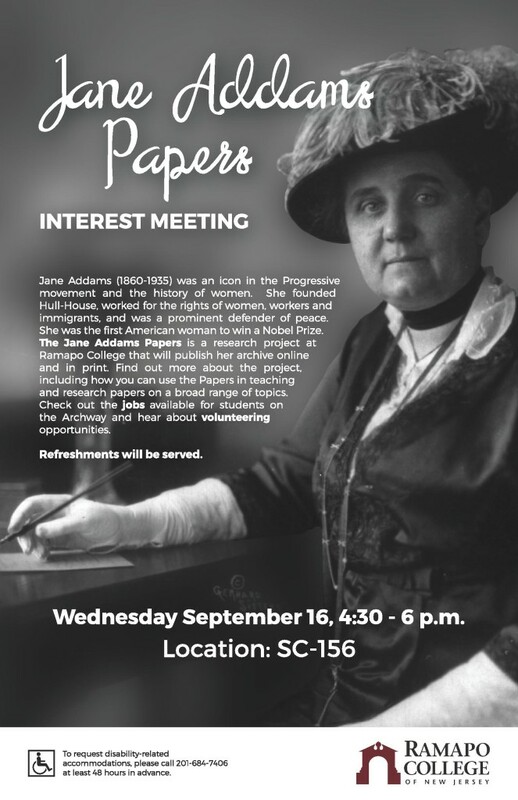 Thanks to the students, faculty and staff who came to last night’s meeting about the work of the Jane Addams Papers. I was happy to provide some background on Jane Addams’ life and talk about the ongoing efforts to preserve, gather, and publish her papers, and about the goals of the Addams Papers here at Ramapo College. Student participation will be key to the success of the Jane Addams Papers, and I was delighted with the numbers of students who came up to talk about joining the project. The Addams Papers is hiring student assistants right now, through our postings on Archway. Editorial Assistant (Archway #9533) will anaylze and digitize documents, entering metadata about them in our online content management system. 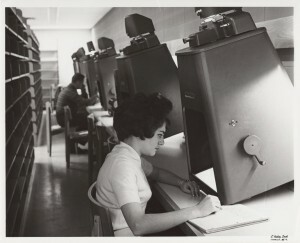 Students will read documents to assign them subjects, and note mentions of people, places, events and organizations. Students will transcribe documents according to project guidelines and help editors proofread transcriptions. Editorial assistants will be researching and writing blog posts about the project and Jane Addams, and researching and writing identifications for people and organizations. We have 2 open positions, for up to 15 hours per week. Research Assistant (Archway #9543) will focus more on researching and writing identifications for the people, places, organizations and events mentioned in the documents, but will also work on transcribing the documents digitized by the editorial assistants. Research assistants will also help research and clear copyright and publication permissions for documents, and assist the editor in locating and obtaining new Addams documents from archives, newspapers, journals and other sources. We have 2 open positions, for up to 15 hours per week. 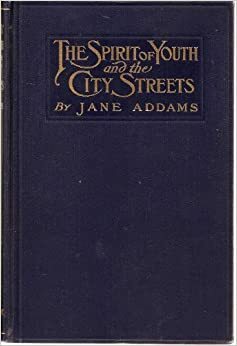 Publicity Assistant (Archway #9542) will design and implement a social media publicity and promotion campaign for the Jane Addams Papers. Working with the editors, the assistant will map out a strategy, schedule blog posts and social media updates, and help spread news about the project to related organizations, such as archives, museums, colleges, and activist groups. The assistant will also take part in transcribing documents, and will assist the editor with answering research queries, and attracting volunteers. This position is for up to 15 hours per week. Learn to research using the U.S. Census! I also encouraged students to consider volunteer and internship opportunities at the Project. One of the goals for the project is that is serve as a research lab for humanities students and others across the College. We’d like to help you gain practical skills doing historical research, investigating digital humanities tools, and opportunities to get your writings and other creative work published on the web. 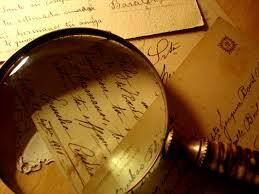 We can use more help transcribing documents, conducting research and writing up the results. If you don’t have the time to commit to a job, you can come in as a volunteer on your own schedule. We are looking for guest bloggers. 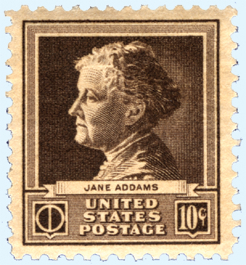 If you have written a paper or essay using the Jane Addams Papers or focusing on Addams or her associates, write a blog summarizing your findings and we’ll publish it on our website. Or, if you enjoy writing about history, come volunteer to research and write blogs about the project or about Addams’ life. We would love to involve graphics design students in helping us design logos and promotional materials and improve our website design. 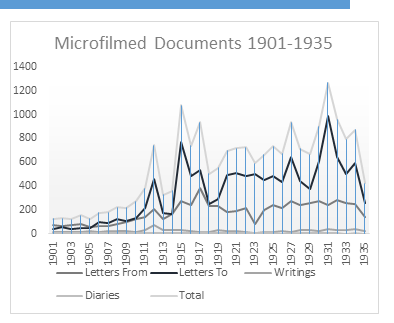 If you are a computer science student with an interest in digital humanities or working with humanists to play with primary source materials, we would be happy to help you get a project or application started. We want to feature these kinds of collaborations on our website. We welcome education students who might help us develop document-based lesson plans or guides for programs like National History Day. We will be looking for translators to help with foreign language documents. Have an idea for an interactive map, a digital chronology, or a digital exhibit about Addams, settlement house, the World War I peace movement, woman’s suffrage, education in Chicago or any of the many other activities Addams undertook? We’ll help you research and present it, and make it a part of our website. Looking for a research topic for your coursework this semester? 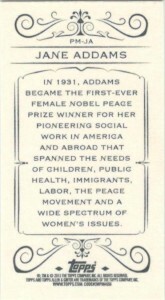 Consider the Jane Addams Papers. Ramapo College Welcomes the Jane Addams Papers! NEW DIGITAL HUMANITIES INITIATIVE ANNOUNCED! Dr. Stephen Rice, Dean of the Salameno School of Humanities and Global Studies, has announced that Ramapo College has received a major grant from the National Historical Publications and Records Commission (NHPRC) – the funding agency of the National Archives – that will enable us to launch the Jane Addams Papers Project this fall. 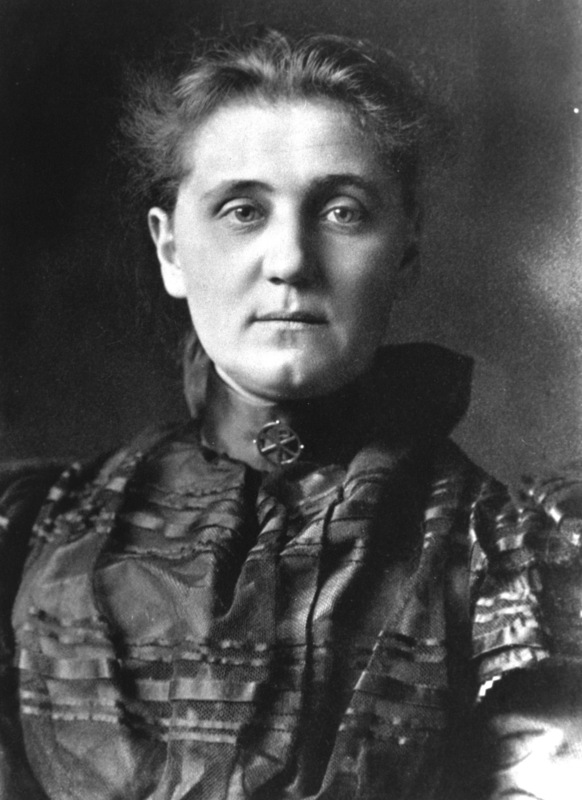 Jane Addams was a pioneer in the settlement house movement, having co-founded Hull House in Chicago in 1889. She was also a leader in the women’s suffrage and peace movements of the early twentieth century. In 1931 she received the Nobel Peace Prize for her efforts to end war. The NHPRC has for a number of years supported the publication of her papers. With this grant the project will move from Duke University to Ramapo, and will take on a new direction as a digital humanities initiative. Starting in September Ramapo students will have opportunities to work on campus in all facets of a digital publication project, including the transcription and editing of documents, historical research, website design and maintenance, blogging, and software coding. The project will be directed by Cathy Moran Hajo ’85, the former Associate Editor of New York University’s Margaret Sanger Papers Project. Dr. Hajo brings a wealth of expertise not only in documentary editing, but also in the techniques of digital humanities.